The City of Brownsville has four individual sites and four historic districts listed on the National Register of Historic Places. These sites are located primarily north of the commercial downtown area with areas of historic significance that encompass architecture, transportation, historic events, commerce and industry, agriculture and significant persons. All of the individual sites remain intact. The historic district, however, has had non-contributing infill placed sporadically within the district throughout the last half of the 20th century. 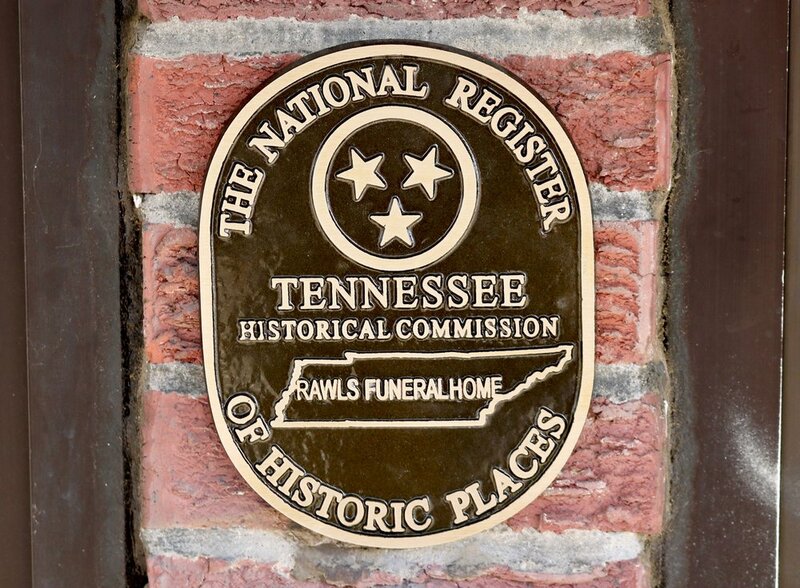 During this survey, the individual National Register listed sites were assessed and updated photos were included in the final documents submitted to the Tennessee Historical Commission. 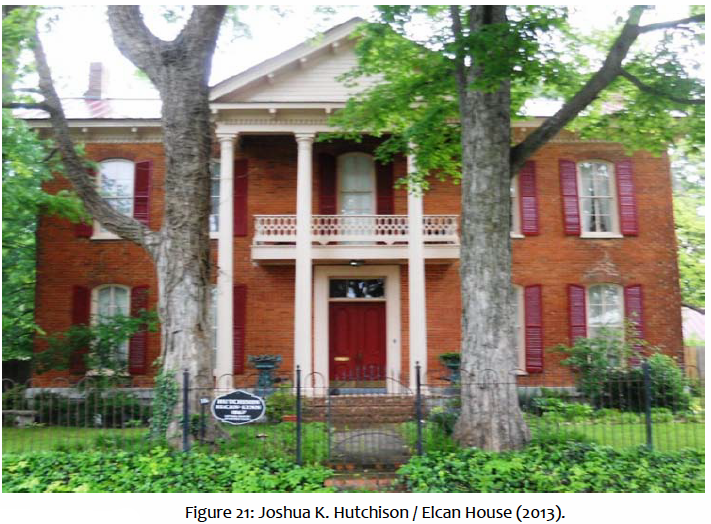 The historic district properties were updated with photographs of the properties previously surveyed and on file at the Tennessee Historical Commission. All unsurveyed sites were photographed and a THC form was filled out. 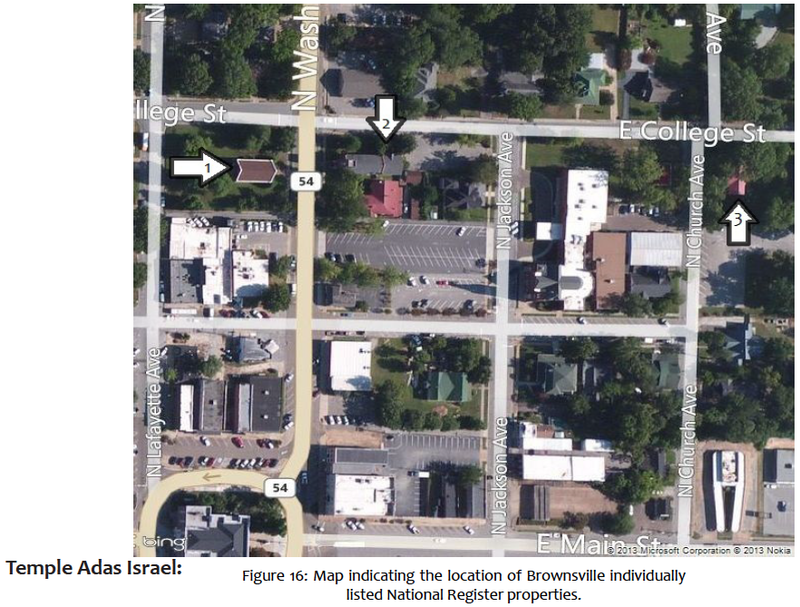 These individually listed properties consist of (1) Temple Adas Israel located on North Washington Ave., (2) Zion Church, now known as Christ Episcopal Church, also located on North Washington Ave., the (3) Joshua K. Hutchison House located on N. Church Ave and (4) Carnegie Library (Chamber of Commerce) located on West Main Street. The College Hill Historic District is located west of these properties along Main Street and College Street. Andrew Carnegie, a turn of the century industrialist and philanthropist, donated close to 40 million dollars to build approximately 1,679 libraries across the United States between 1880-1920. While many private or elite organizations developed their own libraries up to the late 19th century, this group of libraries was one of the first library systems that allowed for public education through reading with an extensive resource collection. Brownsville has one of these select libraries. Located on the northeast corner of East Main Street and South Russell Ave., the Carnegie Library building is a library building built in 1909 with Art Deco style influence. Andrew Carnegie donated $7,500 to fund construction of the building. It has a flat roof with a brick parapet, brick exterior and a continuous brick foundation. The main façade has a recessed stepped façade with a decorative stone cornice around the entire building. The furthest protruding brick projections have Art Deco style stonework and a rectangular wood and glass casement window. The main entrance is the original full light wood and glass door with full light wood and glass sidelights and two-light wood and glass transom. The windows are the original cottage style with two fixed lights. This building operated as the city library and was the first public restroom in Brownsville. In 1957, the library was added to the Tennessee regional library system at which time it was named Brownsville-Haywood County Library. In 1992, the library closed due to a new library being built. One year later the building was restored and now houses the city Chamber of Commerce. This building may be potentially eligible under Criterion A for its significance in education and social history as Carnegie libraries represented a movement in history toward “free” public education and access to educational resources and it may be eligible under Criterion C for its architecture. The temple is a single story, rectangular plan, framed Gothic Revival style influenced brick veneer synagogue. The church has a gabled roof of asphalt shingles and has a parapet with stone coping. The exterior is of brick with a continuous brick foundation covered with stucco and one exterior end brick chimney. The main (E) façade has a protruding vestibule with original, paired, wood panel doors with lancet stained glass transom, concrete Star of David above and diamond stained glass window above still. The main façade also has two symmetrically placed, circular, stained glass clerestory windows. Each corner of the exterior is flanked with stacked buttresses. The north and south elevations have four lancet, stained glass windows with keystones in brickwork and three enclosed, rectangular clerestory windows. The rear (W) elevation has a central protruding bay and two original wood panels, exit doors. 58 National Register of Historic Places, Temple Adas Israel, Brownsville, Haywood, Tennessee, National Register #79002445. The church is a one story, rectangular plan, Gothic Revival style influenced brick veneer church. The church has a gabled roof of asphalt shingles and battlements around the bell tower, which is flanked by setback buttresses. While the church was constructed by 1858, the dominant front tower we see today was not erected until 1868. The exterior is of brick with a continuous brick, stucco covered foundation and three interior end brick chimneys. The main (W) façade has a central bay, vestibule with the original, paired wood panel doors and a stained glass, lancet style transom. A stone cross is located above the transom window. The bell tower has lancet arched louvers on all sides. The north and south elevations have 5 bays, stepped buttresses and original, double hung, 9/9 glass and wood lancet arched windows. The vestry room in the rear was built in 1874, but was torn down in 1969 to make room for the parsonage addition attached to rear (East) elevation as seen today. The parsonage has a gabled roof of asphalt shingles, brick exterior and a continuous brick foundation. The main (N) façade has a one story, central bay, entry porch with a brick, Tudor arch flanked by stepped buttresses; similar to what is seen on the main church building. The main entrance has the original wood panel door. The windows are original, double hung, 1/1 wood and glass doors. 59 National Register of Historic Places, Zion Church, Brownsville, Haywood, Tennessee, National Register #78002601. 60 Ibid. The Joshua K. Hutchison House (HD00586) is located on the southeast corner of N. Church Ave. and E. College St. It was built in 1868 by Joshua K. Hutchison and his wife, Isabella Seymour Hutchison with an inheritance given to Isabella by her father.61 Mr. Hutchison was a captain in the Confederate Army and returned to Brownsville to aid in handling the Seymour cotton plantation.62 The house being constructed of brick, especially directly after the Civil War was a great symbol and testament to the wealth of the Hutchison family. A majority of buildings built of brick at the time in Brownsville were public or commercial buildings. The house is a two story, central hall, Greek Revival style influenced framed dwelling built in 1868. The house has a gabled ell roof of metal sheeting, brick exterior, a continuous brick foundation and two interior end brick chimneys. The main (W) façade is five bays wide with a central bay, two story pediment portico supported by 4 wood, Doric columns. The cornice has dentils and S-curve brackets. The 2nd floor of the portico has a balcony with decorative wooden balustrade. The main entrance has original, paired wood panel doors with original three-light, glass and wood transom. The windows are original, double hung, 4/4 wood and glass with a rounded top sash. According to 1988, National Register Nomination, the gabled L on the rear (W) elevation is original to the plan. 63 National Register of Historic Places, College Hill Historic District, Brownsville, Haywood, Tennessee, National Register #80003834. 64 Ibid. 65 Ibid. The Bond-Livingston-Tripp house was built ca. 1830 with construction dates ranging from 1824-1835. Originally built and owned by Thomas Bond, this house is a two story, rectangular plan, Greek Revival style framed dwelling. The house has a gabled roof of asphalt shingles with dentil moulding along the cornice, vinyl siding exterior, a continuous brick foundation and two exterior end brick chimneys. The main (N) façade has a two story, full width portico with a central, gabled pediment all supported by round, vinyl, doric style columns. The 2nd story balcony has a decorative iron balustrade and an original wood panel door, original three-light sidelights and four-light transom. The main entrance is the original single light and wood panel entry door with original three-light sidelights and four-light transom with Greek revival style casement around the entry. Windows are original 6/9 wood and glass windows. The west elevation has a one story, five-sided canted bay window and a secondary entrance with an octagonal entry portico supported by round, doric style columns. There is a one story, gabled roof addition at the rear of the house. A ca. 1990 rectangular plan outbuilding is located in the rear as well. There is a two car garage and pool house with a gabled roof of asphalt shingles, double hung, 6/6 vinyl windows, vinyl siding and a poured concrete foundation. The house was owned by Judge Livingston following the Bond family and then purchased by the Tripp family who completed the renovation and additions we see today. The alterations include the entire front portico as well as the vinyl siding replaced in 1986 and an added master bath and the kitchen moved in 1984. The Bond-Whitehall-Estes-Stark House was built in 1868. Originally built and owned by Katherine Bond, this house is a two story, square plan, Greek Revival style framed dwelling. The house has a hipped roof of asphalt shingles and curved brackets in the eaves, weatherboard siding exterior, a continuous brick foundation and two interior end brick chimneys. The main (S) façade has a two story, partial width portico with a flat roof supported by octagonal, wooden columns on brick piers. The 2nd story balcony has the original, single light and wood panel door with original three-light sidelights and transom. The main entrance is the original wood panel door with original three-light sidelights and transom. The windows on the first floor are the original floor to ceiling, double hung, 6/9 wood and glass windows flanking the main entrance. All other windows are the original, double hung, 6/6 wood and glass windows. This house remained in the Bond-Estes family until 1980. During that time a shed roof addition was put on the rear of the house. In 1980, the Stark family purchased the property and tore off the addition later to add a hipped roof addition in 2006 which now contains a sitting room, bath, kitchen and porch. The outbuilding is a two bay car garage built in 2005. This garage has a gabled roof of asphalt shingles, vinyl siding exterior and a poured concrete foundation. The Bond-Berson-Hooper House was built in 1850. James Bond purchased the land for the property in 1847. He then built the house in 1850 for his 5th child from his second marriage, Penelope as a wedding present for her marriage to Calvin W. Harbert. This house is a two story, square plan, Greek Revival influenced framed dwelling in the raised cottage style. The house has a gabled roof of asphalt shingles with one, central gabled dormer, weatherboard siding exterior, a continuous brick foundation and two interior central brick chimneys with chimney pots. The main façade has a one story, partial width entry porch with a flat roof supported by square wooden columns. Porch details include spindle friezes and a wooden balustrade. The main entrance is the original single light and wood panel door with original three-light sidelights and transom. The main entry also has original screen door. The windows are the original, double hung, 6/6 wood and glass windows. The window in the central gable dormer is a Gothic style trefoil wood and glass window. Penelope and Calvin’s only daughter, Narcessa inherited the house when she married Henry Van Berson in 1874. The house remained in the “Bond” family until 1973 when the Hooper family purchased the property. The Hooper family began restoring the house at that time and have owned the house ever since. Alterations to the house include a new roof structure for support, removal of one chimney, upstairs reopened with an added bath and playroom, remodeled kitchen and canted bay window located on the west elevation with 24 light and 6/6 vinyl windows, gabled ell addition with one interior central brick chimney, front porch repainted and repaired, T-shaped two car garage attached to the rear addition in place of the property’s original privy and cook house and finally, an L-shaped glass-enclosed porch was added on the east side of the garage addition. Thomas-Harper-Sellari House – 251 N. Grand Ave. The Thomas-Harper-Sellari House was built in 1857. This house is a two story, rectangular plan, vernacular style framed dwelling with Greek Revival and Victorian style influence. This house has a gabled roof of asphalt shingles with triangular dentils in the cornice and triangle brackets in the eaves, weatherboard siding exterior, a continuous brick foundation and two exterior end brick chimneys. The main façade (E) has a two story, full width portico with a flat roof and central, gabled pediment supported by wooden, turned posts. The first and second story of the porch has Victorian style drip pendants and brackets with a decorative wooden balustrade at the 2nd floor balcony. The first and second floor also has an entry door with the original single light and wood panel door with Greek Revival style surround. The main entry has the original single light and wood panel entry door also with the Greek Revival style surround. The Greek Revival style surrounds were added ca. 1880. The windows are the original, floor to ceiling, double hung, 2/2 wood and glass windows on the 1st floor and original, double hung, 6/6 wood and glass windows on the 2nd floor. The Spencer-Thomas family purchased this house around the turn of the century at which time it was said that the interior had a double staircase, one for boys and one for girls, running up to the 2nd floor and divided by a wall. The south elevation has a ca. 1920 screened in porch with a flat roof supported by supported wooden posts. There is a ca. 1990 four-bay carport located in the rear with a gabled roof of asphalt shingles, weatherboard siding exterior and a poured concrete foundation. 66 The Brownsville-Haywood County Bicentennial Book Committee, Heart of the Tennessee Delta (Dixie Printing Company, 1996), 121. 67 National Register of Historic Places, College Hill Historic District, Brownsville, Haywood, Tennessee, National Register #80003834. 68 The Brownsville-Haywood County Bicentennial Book Committee, Heart of the Tennessee Delta (Dixie Printing Company, 1996), 121. There is little history written about Oakwood Cemetery due to a fire at the courthouse records room which held a vast majority of the written history of Brownsville so it is unclear as to how the cemetery got its name.66 Most of the existing history is told through its monuments. What is known is that Oakwood Cemetery is the main city cemetery and has several burial plots for many of Brownsville’s settlers and prominent families. Joseph Wingate Folk is buried in Oakwood Cemetery. Folk grew up in Brownsville and went on to serve as Governor of Missouri from 1905-1909. Many of the headstones have burial dates beginning in the mid-1840s. The cemetery lot lines were expanded to what they are today in 1880.67 Several small children are buried here as well as many of the victims of the Yellow Fever Epidemic of 1878. It is recorded that several victims of the epidemic were buried in an unmarked mass grave due to the limited workforce to bury each victim individually.68 The property was maintained by the Oakwood Cemetery Association from 1909 to 1925; an association which members could receive plots and maintain the grounds.69 Eventually maintenance was taken over by the City of Brownsville. There are several cemetery themes displayed on headstones throughout the cemetery. These symbols include: the lamb under the weeping willow, clasped hands, various lilies, the broken branch, the arch, the angel, the dove, drapery, hands reaching, the obelisk and the urn. Several headstones have affiliation markings such as the Star of David for Jewish affiliation and the square and compass signifying affiliation with the Freemasons. Another very common headstone design seen throughout Oakwood Cemetery are those with affiliation to the Woodmen of the World (WOW). WOW is a fraternal benefit society that was founded in 1890 and often operated in secrecy.70 A benefit to being a member of this club was the organizations funding and creation of distinct headstones for deceased members. This program became too costly and was discontinued in the 1920s.71 The tree stump is a dominate theme in Woodmen of the World headstones. Symbols used in conjunction with the tree stump consist of: axes, leaves, stones and scrolls all with the WOW logo placed at the top. 61 National Register of Historic Places, Joshua K. Hutchison House, Brownsville, Haywood, Tennessee, National Register #88001022. 62 Ibid. The College Hill Historic District is named so for the Haywood County Museum complex located on the west edge of the district. The Haywood County Museum is significant to Brownsville for its past uses.63 The building’s original use was the Brownsville Baptist Female College established in 1851. The school was later renamed and used as Haywood County High School in 1911 and used as such until desegregation in schools in 1970. The district was added to the National Register of Historic Places in 1980 due to its inventory of architectural structures as well as the leading citizens of Brownsville who resided there. At the time of nomination, the district boundaries were justified as a combination of strong architectural cohesiveness and neighborhood feeling.64 The district is bounded by College Street to the north, Grand Ave. to the West, Margin Street to the south and Russell Ave. to the east. There are 83 buildings, 1 vacant lot and 1 cemetery included within the district boundary. According to the nomination form, only 8 to 10 percent of the buildings within the district were considered non-contributing. The College Hill Historic District was listed on the National Register in 1980. For purposes of this survey, the surveyors re-photographed all structures within the district. Many of these structures had been previously surveyed and placed on file with the Tennessee Historical Commission; however, many structures were not registered with THC. Therefore, photographs and THC forms were compiled for each undocumented structure that had contributing characteristics. The following examples are a select few existing properties in the College Hill Historic District that have been re-photographed for survey purposes.